My newest shawl has a border inspired by a construction technique I found in Wrapped in Lace by Margaret Stove. In her Rosebud and Filmy Fern shawls, she starts from the bottom of the shawl and creates points using short rows before continuing the body of the shawl. I had to swatch a bit of her pattern to understand how it was constructed. There are two techniques. 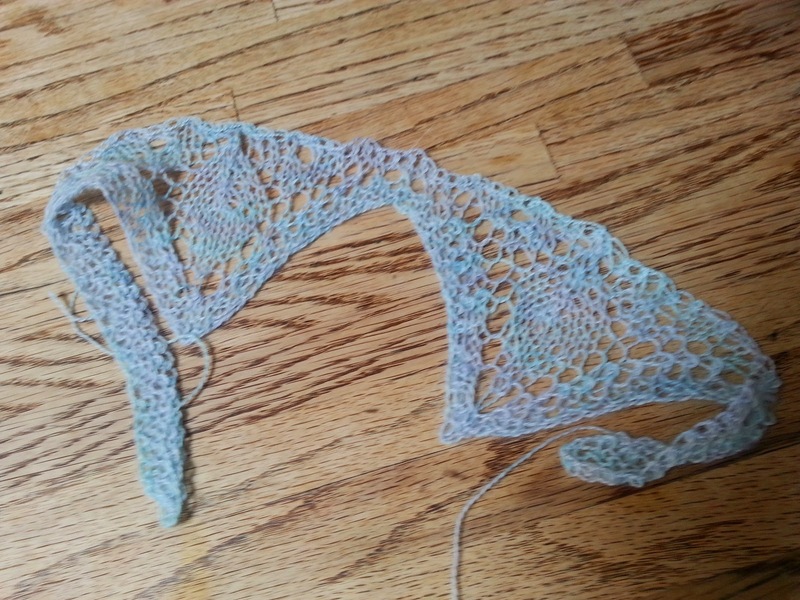 In one, you make a long strip of garter stitch and then knit down so many stitches and start completing short rows in a lace pattern to fill the triangle. In the other, you knit a bit of garter, fill it with short rows, then cast on additional stitches and fill it with short rows, until you have a long string of points. I decided the first would be the best for my pattern, but I wanted smaller “wing” points and a larger center point that would work up into a back panel. 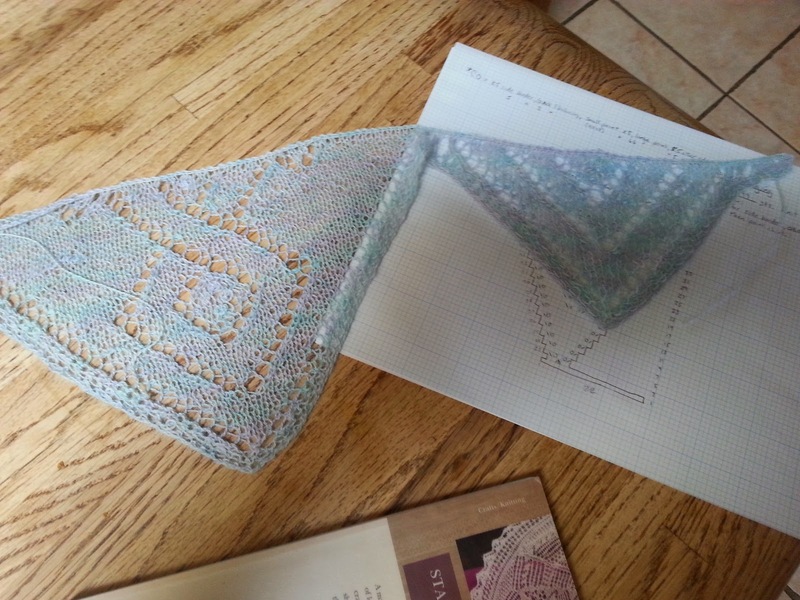 So I charted out what I wanted and made a rather large swatch. I’m pleased with the results. It’s such a fun technique and not really that difficult once you get the hang of it, though it is rather nerve wracking turning a laceweight yarn project back and forth for the short rows. Someday I will have to learn to knit backwards.